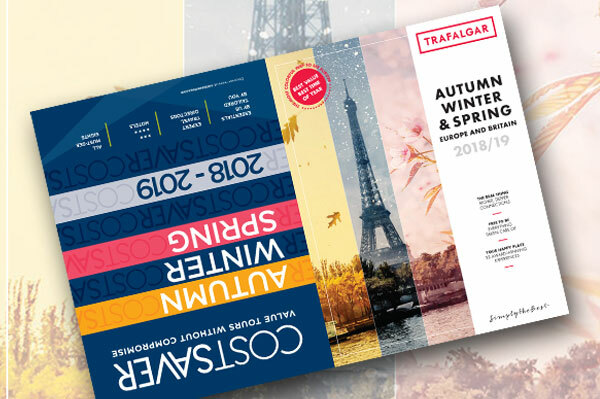 Reiterating its commitment to always putting #AgentsFirst, Trafalgar has released its new Autumn Winter Spring (AWS) program, featuring both Trafalgar and CostSaver together in the one handy “upside down” brochure. Hearing that Canadian agents want clients to travel beyond the peak season yet still be able to connect with an unrivalled choice of local people, places and experiences, Trafalgar notes this is the chance for them to travel for up to 30% less than in summer, as well as a 7.5% discount on Trafalgar and the CostSaver “Ready To Go” rate to help get them over the line. Trafalgar costing starts from $140 per day; CostSaver from $111 per day. the Wonders of Italy; and the Wonders of Portugal tour. Travellers can also save with Trafalgar’s 7.5% early payment discount, valid until Aug. 30.